I must disclose that this is Todd's recipe. I did not find this one. He did. In a small bowl whisk the hollandaise sauce ingredients and set aside. Remove and discard the tough bottom of each asparagus spear by grasping each end and bending it gently until it snaps at its natural point of tenderness, usually 2/3 of the way down the spear. Using a vegetable peeler, peel off the outer skin from the bottom half of each remaining spear. 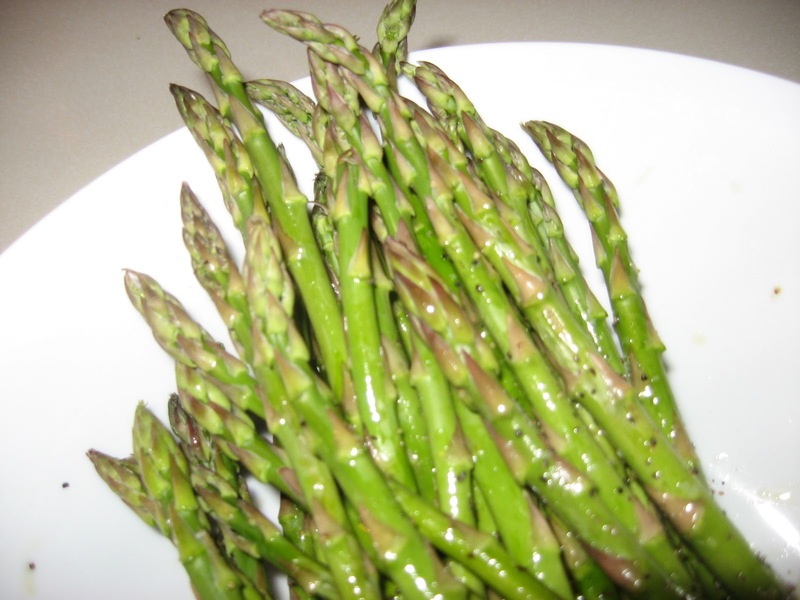 Spread the asparagus on a large plate. Drizzle the oil over the top and season evenly with the salt and pepper. Turn the spears until they are evenly coated. Grill the asparagus (perpendicular to the grate) over direct medium heat (350°F to 450°F) until browned in spots but not charred, 4 to 6 minutes, turning occasionally. Keep the lid closed as often as possible during grilling. Remove from the grill and keep warm. Grill the prosciutto slices over direct medium heat just until crisp, 2 to 3 minutes, turning once. Remove from the grill and cut each slice into pieces about 2 inches across. Arrange the prosciutto and asparagus on four plates and spoon the mayonnaise over the top. Serve immediately.